Her four eyes can see a person's age, name, gender, and birthday, but she can't read minds. 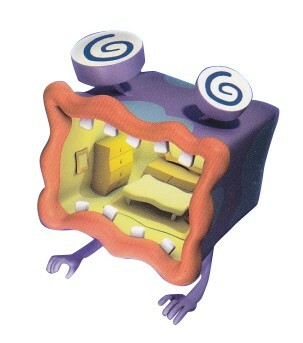 It's still kinda creepy, though. Despite her abilities, Infour is surprisingly humble about them, unlike her lookalike Espy. In the anime, she takes pity on a down-on-her-luck Fortune Teller. 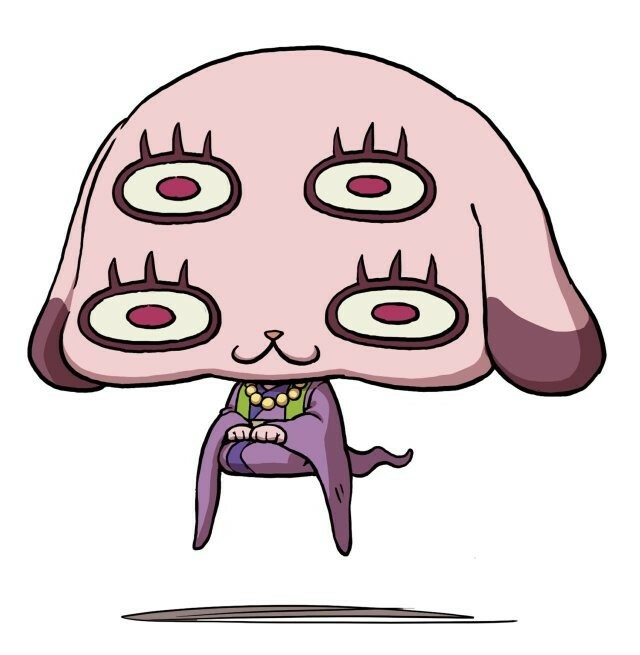 Yo-kai Medallium Bio: Her four eyes can see a person's age, name, gender, and birthday, but she can't read minds. It's still kinda creepy, though. A pale pink dog with a tiny brown button nose, and four oval-shaped eyes with dark raspberry. Each eye is lined by dark brown with three spiked lashes on top. At the end of each ear is a dull brown marking. She wears a purple kimono accented in ivy and plum, with a white pearl necklace. "Infour" is a portmanteau of "info" and "four". It can also be a corruption of "inform" or "in for". "Yotsume" is a pun off of "Fourth" (Japanese: 四つ目 Yottsume), which contains the kanji for "4" and "eye".